The southern expression "Come in an' set a spell" is one of those colloquialisms that has no specific historical reference as to who actually "invented" the admonition, but it has come to mean "you are welcome" to friend, family and even the occasional stranger. One of the things that is seemingly disappearing as fast as land line telephones, pan fried chicken and simple civil discourse in conversation is the desire of people to simply sit and talk (without I-phones in hand), listen to music or just watch the world go by. Well, here at The Nomad Architect, we think that some things should never be banished from our cultural experiences, particularly when traveling. I remember sitting and waiting for a train in Cinque Terre Italy and overhearing a group of twenty something girls sitting and discussing Tallahassee, my home town. As it turns out, they were on summer break from FSU and decided to do Italy for two months. Just meeting and talking with other nomads from the place I grew up in a land far far away was serendipity at its best. You Gotta Have A List - Right? I am an obsessive list maker. I rarely actually do anything on my lists, but a list of places to just sit and listen, watch, day dream or even nap, is unlike other lists. All it requires me to do is nothing. I encourage you to make your own list and keep those places in your mind's eye for future reference. This is especially true for all you overachieving, Type A types who don't have enough time in the day. Slow down and sit. And when you travel, make yourself sit and do absolutely nothing for at least a portion of your day. Even when you're traveling as a True Nomad, you need time to ponder, think and just be. And sitting in a favorite spot allows you to "be" better. 1 - Nomad's Rock, Deer Springs Ranch, Utah. There's this big rock - which I named Nomad's Rock - where we can sit and see as far as the eye can see over the desert of Grand Staircase Escalante National Monument. It's in the middle of nowhere. Where better to do nothing than in the middle of nowhere? 2 - The Terrace of Castello Di Tornano in Tuscany. Overlooking the rolling, golden hills of the Tuscan countryside in the shadow of a thousand year old castle turned boutique hotel is restful to the soul. A nice Pinot and some local cheese makes doing nothing even more enjoyable. 3 - Any Beach at Sunset or Sunup. The sand, the water, the breeze and the sun, rising or setting, make the beach the perfect place to just sit at the end or the beginning of the day and take in the solace that only the beach can bring. 4 - My Aunt Helen's Patio on Lake Blackshear in Southern Georgia. It is utter tranquility with nothing but birds, breezes, a shimmering lake and the sounds of laughter. 5 - The Cliff House Deck on Whidbey Island. This place is special. Deep in a virgin forest on the western shore of Whidbey Island, Washington, nature blends with modern architecture to provide the perfect backdrop for contemplation. 6 - The Water Garden of Vechio Molino in Umbria. This little boutique hotel, in the heart of Umbria, has managed to turn a former mill into a peaceful, landscaped environment perfect for sitting and sipping, the numerous small active sluices provide the constant sound of gently moving water. 7 - Any Sidewalk Cafe in Paris - Conversation and people watching is an art form in the most elegant city in the world. 8 - The Big Porch at Cibilo Creek Ranch, Texas. The first privately built fort in 1800's Texas has been turned into a small destination boutique resort in southwest Texas. The porch is big and intimate at the same time and it overlooks a small lake. It also has day beds for those that need a little nap before dinner around the big table. 9 - Millennium Park Chicago. OK, this one does have a lot of tourists, but, it's one of the most fascinating places to watch people watching people. The best seat in the house is a bench with a view of the Crown Fountain, an interactive fountain where young and old alike enjoy the water and architecture. Besides, its only a stones throw from The Chicago Art Institute. 10 - Frank Lloyd Wright's Seth Peterson Cottage Terrace on Mirror Lake, Wisconsin.. No list of great places to sit would be complete without something by the master. The terrace of the smallest house Wright ever designed sits atop a bluff overlooking Mirror Lake and it shows why he he is considered America's greatest architect. It's one of the few Wright houses you can actually stay in. Based on our time there, I give it a five star Nomad Architect double diamond rating. P.S. If you are so inclined, feel free to send me your favorite spot or spots for sitting. Just click on the word comment below and a comment box will open. 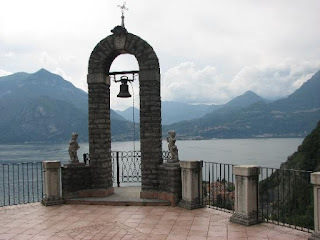 The last time I spoke of Varenna, the little hamlet on Lake Como, way back in November, we had crashed in the minimalist interiors inserted into the massive stone walls of an ancient monastery after a nine hour flight and two hour train ride. 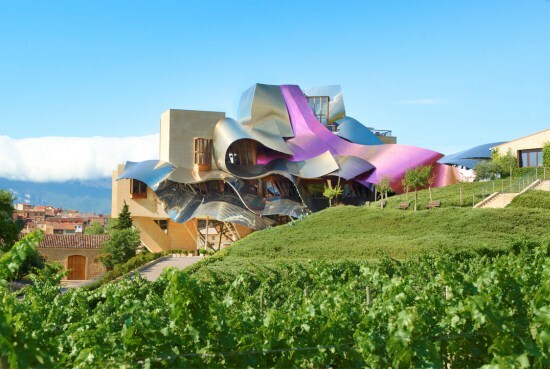 Like so many small hotels in Europe, the Emero Gaudio proves that quality modern design and ancient forms can not only coexist, but, can actually create unique spaces that render the sum of the parts much greater than the whole. Of course it doesn't hurt that the original structure was built into the side of a very steep mountain overlooking one of Italy's most beautiful bodies of water. And that beautiful body of water came in very handy our first morning in the Italy of our dreams. We awoke refreshed with all traces of jet lag banished from mind, body and spirit. It was the lake that provided the breathtaking backdrop for our first breakfast on the grand terrace of our little boutique in Varenna. I say little, because The Emero Gaudio only has twenty five rooms. By American standards, that is positively itsy bisty! I must admit, after staying in the smallest of hotels in Europe, I have become spoiled. The intimacy of a small boutique makes one feel like one is part of the landscape, not just a detached observer along with the throngs clamoring to hopefully get a decent room, located somewhere with a decent view without breaking the bank. You actually get to know the staff, the environment and a real sense of the place on a very personal level. That just does not happen at a thousand room resort. "Vagabonding small" allows you to "Live like a local", as Rick Steves points out in his many books, even though you really are just passing through. One of the most rewarding aspects of traveling on the unbeaten path is the little things that make travel adventurous and unique. 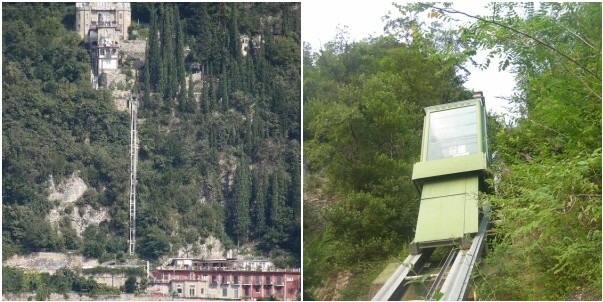 Even though I knew what a funicular was from my days in architecture school, I had no idea that they actually existed in our modern over-teched twenty first century. Well, they do exist at Emero Gaudio and they add to the simple romance of this tiny little hotel overlooking this quintessential Italian village. For the uninitiated, a funicular is basically an inclined elevator or tram that is pulled up and down a mountain on tracks with steel cables. 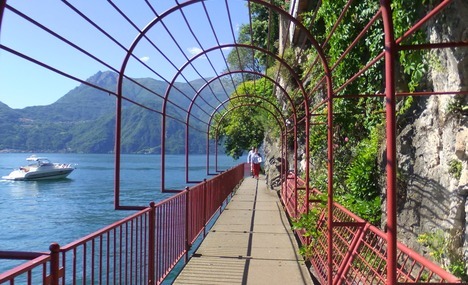 As I stated in the last Lake Como post, the hotel actually has two, requiring you to take one half way up the mountain and then go the rest of the way on another. Completely enclosed with glass, you can enjoy an ever expanding panoramic view of the town and Lake Como as you slowly climb to the hotel approximately 1,200 feet above the lake. After finishing our well prepared breakfast on the hotel terrace, we headed down the mountain in the Jules Verne-esque inclined rail car not knowing quite where we would go or what we would do. 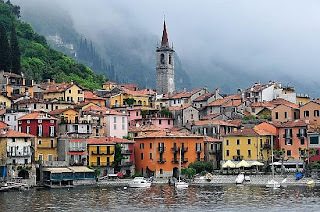 Since both of us abhor any kind of fixed itinerary when we travel, we were ready to soak in all that is Italian in this little slice of heaven on the lake. What Do A Couple of Wide Eyed Vagabonds Do In A Town of 800? After getting off the funicular, we walked the short distance into this small hamlet nestled on the eastern shore of Lake Como. According to Wikipedia, Lake Como is a lake of glacial origin. It has an area of 56.4 square miles, making it the third largest lake in Italy. At over 1320 feet deep, it is one of the deepest lakes in Europe. The bottom of the lake is more than 656 feet below sea-level. 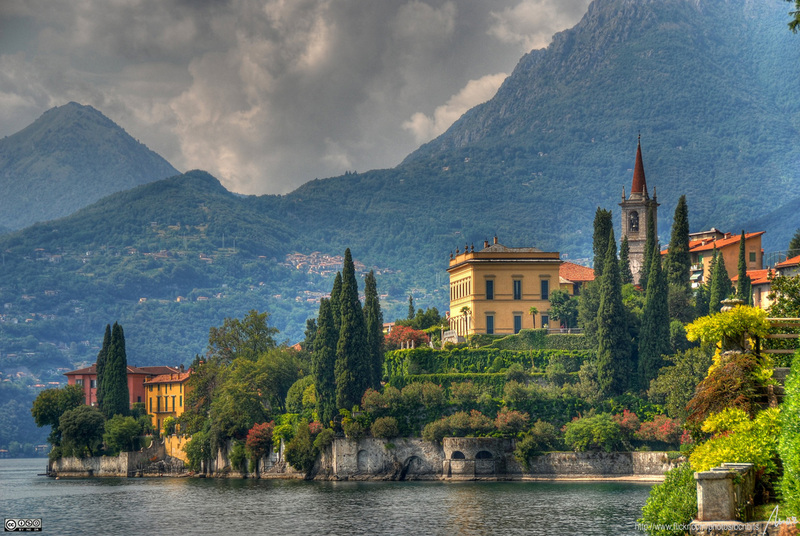 And of course, American movie start George Clooney has a little villa right on the lake south of Varenna. 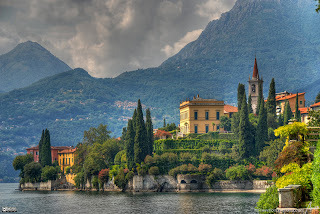 Even though Lake Como is a favorite haunt of the famous and infamous, according to various reports, a star of his magnitude has not exactly been embraced by the locals. Paparazzi and all that. Since we didn't have a personal invite to George's place, we decided to just relax and enjoy the day. In early May the weather is perfect for simply sauntering and taking in the sites and sounds of a place that is completely at ease with itself, both as an ancient city and a modern destination for people who, like the two of us, loathe malls, airplanes and big hotels. The first thing that struck me was the tendency in this great country to embrace the small things that make life better. When you combine the Italian sense of design with an unwavering embrace of tradition, what results is a truly eclectic, intimate sense of place.. Even though you are a temporary visitor, a nomad no less, the idea that you are just another tourist never crosses your mind. After years of travel, I am more convinced than ever, that the feeling of belonging in a foreign land can only come from a natural comfort with a place's culture and way of life. And the people. Don't get me wrong, I love America and its people. But, experiencing the people of Italy and their simple love of life changed my thinking about travel and other cultures in this world. Gelato Is What Saint Peter Will Give You When You Arrive At The Pearly Gates! We all know what the Italians have given the world food wise. Spaghetti, pasta, pizza, chianti, mozzarella, olive oil - the list of Italian delicacies to eat and drink is endless. How many chapters in how many books have been written on what the Italians have done just with the simple tomato?Delizioso! But Gelato - real Italian Gelato - is proof positive that you can experience a little bit of heaven right here on earth. Just saying the word brings a smile. Even though Gelato is the Italian word for ice cream, it is NOT ice cream. 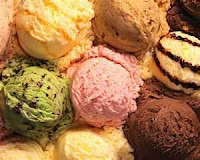 The combination of milk, cream, sugar and various fruits or flavorings, when made by hand, creates a desert that transcends our notion of ice cream. True Italian gelato is made with a much larger percentage of whole milk and churned at slower speeds, giving it a much creamier and smoother texture. Where else but Italy can you actually get cantaloupe gelato? I know it sounds weird, but trust me - you will thank me for this culinary tip. The Italians, known for their passion in just about all endeavors, apply that same obsession to the preparation of gelato. From that passionate process you get a tasty delicacy you just can't buy in a grocery store. Gelato dates back to ancient Rome, when the Florentine architect Bernardo Buontalenti is said to have invented modern ice cream in 1565. I think you would agree that we owe s. signore Buontalenti a debt of gratitude for this cornerstone of western civilization. The passion that is engendered by this wonderful culinary confection really cannot be explained or fully understood until you actually experience it. My first taste of gelato, sitting beside the bucolic Lake Como, will forever be etched in my mind as one of those seminal moments when travel, like life, really is about simple pleasures. 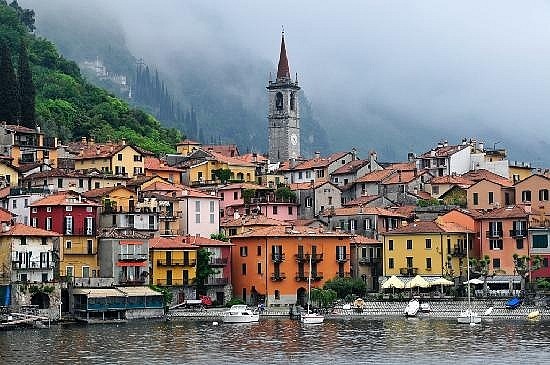 Varenna - A corner of heaven dipped in the blue...a pearl set between lake and mountain, nursed by the breeze and kissed by the sun...a place at the limits of the time where modern services marry with its old notoriety that touch every corner of the world. After numerous walks along the romantic, arbor covered lakeside walkway, taking lunch at one of the many lakeside cafes or enjoying a fine Italian dinner in one of the many top flight restaurants in this romantic, rustic village, we reluctantly left Varenna with memories of the real experience of traveling as a true Nomads, feeling fortunate to have dropped anchor in this little corner of God's country on the big lake. Video Artist of The Week - If you like jazz, you will love these guys. From Italy - Marsico & Organ Logistics with guitarist Lorenzo Frizzera performing a composition called Lou - dedicated to the late great Lou Rawls. New feature -For Quick Nomad Info - Click under Random Vagabond Alerts! at the top of the right margin. While here in Atlanta, we decided to check out a barbecue place in Midtown. The place - Bonelick Barbecue. The food - The best barbecue this side of Sprayberry's in Newnan, GA. Reading the menu alone will bring chuckles and raised eyebrows. Only in Atlanta will you find cutting edge culinary variations applied to this most southern of traditional foods. From the Jalapeno Boiled Peanuts to the killer "Sammies" with pulled pork, cole slaw and your choice of sauce on Texas Toast, its like no other BBQ you will have anywhere. I highly recommend you check it out when you are in the area. For more Quick Nomad Info - Click under Random Vagabond Alerts! at the top of the right margin. To celebrate the new year and help followers of The Nomad Architect travel smarter, better and cheaper, I have decided to institute a new feature for inquiring travelers who may need a little boost to get up and go. I am calling it the RANDOM VAGABOND ALERT. It may be about a deal for a really cool place, an idea for improving your travel experience that popped in my head, or just a quick observation about a place, a hotel, a restaurant or some other item or point of travel interest. 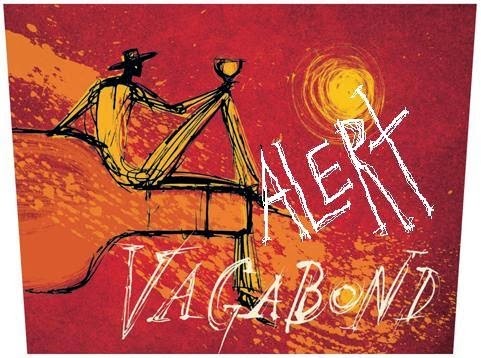 So without further delay or pontificating, today's RANDOM VAGABOND ALERT NO.1 is a great deal I found on Living Social. Just click this link - The Inn at Middleton Place. Generally, I don't find particularly interesting places on Living Social or Groupon, but, I highly recommend checking this one out. The deal gives you a great price ($310) for two nights in a river front room, a decent "healthy start" breakfast, a little wine and cheese in the afternoon, free bike rentals and admission to the oldest established landscaped gardens in the US on The Middleton Plantation. Plus, you are only a fifteen minute drive from gastronomic pleasures galore in one of the truly great cities of the South, Charleston. If you want to read about our visit to The Middleton and Charleston back in September of 2012, just check out my post from August 12, 2012 - Modern Meets Southern Vernacular at The Inn at Middleton Place. You won't find a better place for some serious R&R with your significant other that combines cutting edge design with the unspoiled beauty of nature quite like this one of a kind boutique in one of the truly unique environments in the country. The only downsides are 1) You will need a car 2) The promotion expires March 14, 2013 and 3)You eventually have to leave. And one final thing - make sure you have at least one evening meal at The Middleton Place Restaurant on the grounds of the plantation. As usual, with any online deal, make sure you read the fine print. 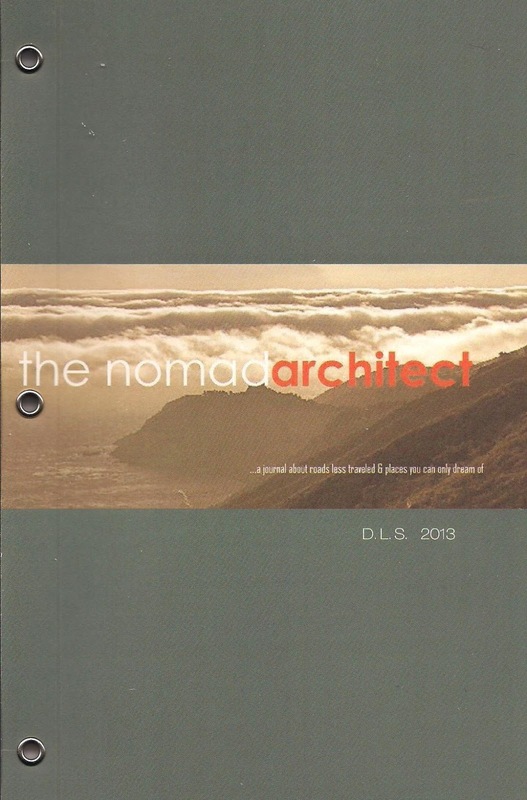 HAPPY NEW YEAR - So What's A Nomad Architect To Do In 2013? 10,000 Clickers Can't Be Wrong - Right? As we say goodbye to 2012 and HELLO to what will surely be a better 2013, The Nomad Architect achieved a milestone of sorts. I know in the blogosphere, things like page views, followers, twitter feeds, facebook likes, RSS feeds, etc., etc. etc. can make your head hurt, especially if you are somewhat technically challenged like I am. However, because of a little bit of hard work, some great advice from friends and family and an unwillingness to cease and desist, The Nomad Architect surpassed 10,000 page views,clicks or visits to the site right before the last day of 2012. In the grand scheme of the internet and its millions of web sites, blogs and other online vehicles adding noise to the ether, 10,000 page views is not a big deal. But, as they say, one man's morsel is another man's main course. Plus, all the experts say that success in the blogging world takes infinite patience and persistence. Since I am genetically incapable of patience, I have decided to go with persistence. Rome was not built in a day after all. So, I just want to say thanks to the readers that have visited the site and those who have either commented or emailed me with encouragement. I hope you will continue. This thing really has turned into an obsessive labor of love of writing about something that I feel very passionate about. So again - thank you! As we say goodbye to a rather tumultuous 2012, we must set sail for brave new worlds in places far and near. My guess is that it won't take too long to lament any number of things that don't change with the simple flip of a calendar. I have decided, as a citizen and restless vagabond, that I am going to try and hold up my end in helping my fellow nomads make 2013 a better year and a better world. If you look at travel as merely "vacation" time then you may miss the point. No - travel is about change. Changing your mind, changing yourself and changing your world. The more I travel near and far and the more I read about the travel experiences of others, the more convinced I am that travel is one of the last remaining activities that brings us closer to the things that give our lives meaning. As an architect who cares about the character of where you sleep, eat and experience life in other places, I am also convinced that finding those exceptional places is a quest that is worth the effort. Let's face it. We live in a world that is growing more mediocre by the day. Everything is becoming more difficult, more expensive and less fulfilling. The great modernist German architect Mies van der Rowe, of the famous Bauhaus, adopted the little used phrase Less Is More to inform a minimalist design philosophy which celebrated the essence of a thing, without the encumbrances of superfluous decoration. However, that now ubiquitous expression has taken on a completely different meaning. It has come to mean, in the vernacular sense, quite literally that less IS more. Less quality, less service, less beauty, less peace of mind for more of everything of value - money, time, stress, brain cells, etc. etc. etc.. The overriding goal of The Nomad Architect in 2013 will be to find and write about those places far from the madding crowd where Lesss Is More adheres to its original meaning, in the artistic sense. Through unrelenting research for the new thing and sharing of travel experiences past, I will try to make travel easier, better, happier, more fun and, yes, less expensive for the Nomad who is looking for that little boutique, that corner table or that mountain top that makes travel a memorable experience. That's our new tag line. From day one, this blog has been about design, architectural uniqueness and details as they relate to places to sleep, eat, drink and be merry. It's not about large hotels, Disney World, theme parks, travel tours or cruises. It's about intimate, small boutiques, cafes and landscapes that are less crowded and more fulfilling. I will make every effort to bring you news about places that do not appear in the latest editions of travel books. As you may notice, we have also changed the blog's header and photograph. With a small, barely traveled road winding its way through a dreamlike coastal landscape, it embodies our vision and unrelenting passion for the next best place to drop anchor. The idea that design is central to the embellishment of life is not new. From the great cathedrals of the middle ages to the cutting edge houses of today's most celebrated architects, the quality of the spaces and places in which we live our lives impacts our lives on so many levels. Much like a Beethoven Symphony or Dave Brubeck's Take Five, great design, like great music, enhances every facet of life. And that enhancement certainly applies to travel. If you believe that enjoying a late afternoon glass of Chianti, overlooking the rolling hills of Tuscany from the terrace of a 1,000 year old re-purposed castle/hotel, viewing vineyards from a 700 year old house owned by descendants of the original owner, or watching the sun set on Puget Sound from the deck of an award winning glass and wood house, then you know of what I speak. Whether your thing is a small courtyard in the heart of Venice or a funky restored motel in the California desert, I am committed to finding places that will allow you to scratch your particular vagabond itch. As I wrote in the first sentence of the first post of The Nomad Architect - STOP THE WORLD I DO NOT WANT TO GET OFF! To all Nomads everywhere - May your roads be less traveled, may your wine be well aged and may your bed be to die for! Video Artist of The Week - The Lumineers are a new, innovative fold rock band with an interesting blend of great musicianship, strong lyrics and country/folk vocals. Their first big tune, Ho Hey, should be on everyone's travel mix list.